Since 2003, TMC has provided international conference and workshop support services for the U.S. Defense Threat Reduction Agency’s (DTRA) International Counter-proliferation Program (ICP) and Regional Security Engagement Program (RSEP). The broad focus of the ICP and RSEP is on preventing the movement of WMD across borders. 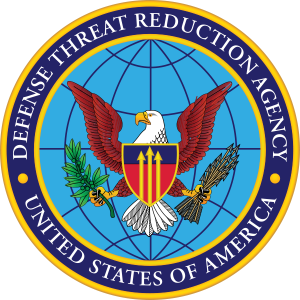 Through these programs, DTRA has trained and equipped over 10,000 international participants in 38 nations, engaging border officials and national security personnel in charge of WMD incident response. TMC has performed all the language services, logistical, travel and conference support tasks in 38 countries across Eurasia for 255 training events, conferences for up to 250 people, periodic NATO co-sponsored multi-national training workshops, and 76 international policy consultations. TMC has provided multi-language simultaneous, consecutive, and social interpretation, as well as all the supporting simultaneous interpretation equipment. The most interesting language challenge we have successfully overcome is the need to provide tri-lingual Kosovar interpreters for a multi-national regional training event in Split, Croatia. The event brought together 250 people from 10 countries. The tri-lingual interpreters we found in Kosovo and brought to Croatia were able to effortlessly switch between interpreting to/from Albanian, Serbo-Croatian and English, and enable to Kosovar delegation to have a very productive training experience. Doing business around the world has its unique set of challenges with complex requirements that differ greatly from country to country. From full-service management to basic Human Resources (HR) functions, we can create a solution that makes you more successful.